Turner earned an M.F.A. degree from the University of Oregon before serving for seven years in the U.S. Army. He was an infantry team leader for a year in Iraq with the 3rd Stryker Brigade Combat Team, 2nd Infantry Division. Previously, he deployed to Bosnia-Herzegovina with the 10th Mountain Division in 1999-2000. 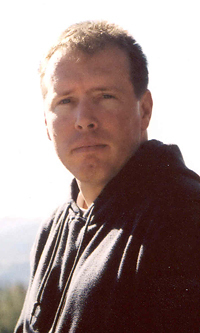 Turner’s poetry has been published in journals, including Poetry Daily and the Georgia Review, and in the Voices in Wartime: The Anthology (White Press, 2005), released in conjunction with the feature-length documentary film of the same name. He lives in Fresno, Calif.
Turner’s Bates reading is cosponsored by the English department and Maine Chapter 001 of Veterans for Peace.